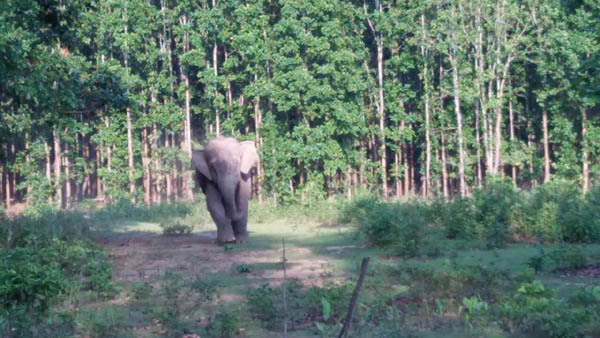 The man-elephant conflict has refused to die down in Udalguri district of Assam with the poverty-stricken villagers of the Indo-Bhutan border villages are losing their loved ones every single day. In yet another incident, a loner wild jumbo killed one Kade Hemrom (54) and injured another identified as Budhuwa Bhengra(42) at number 2 Satgharia village near Hattigarh Tea Estate under Paneri police station in Udalguri district at about 9 pm on Tuesday evening. According to reports, the villagers after receiving information of the jumbo entering into paddy field went to chase it back when the unfortunate incident took place. The injured Budhuwa Bhengra has received injuries in his right leg and is currently out of danger. The incident has cast a pall of gloom in the area. The Udalguri district of Assam has witnessed 15 human and four elephant deaths due to man-elephant conflict in the year 2018 till date. The Forest Department citing lack of man-power are leaving the people to their faith.The detrimental policies of the government and its lackadaisical attitude towards the menace of human-elephant conflict have left the border populace bewildered. Praying the Almighty remains to be the only resort of the hapless villagers.